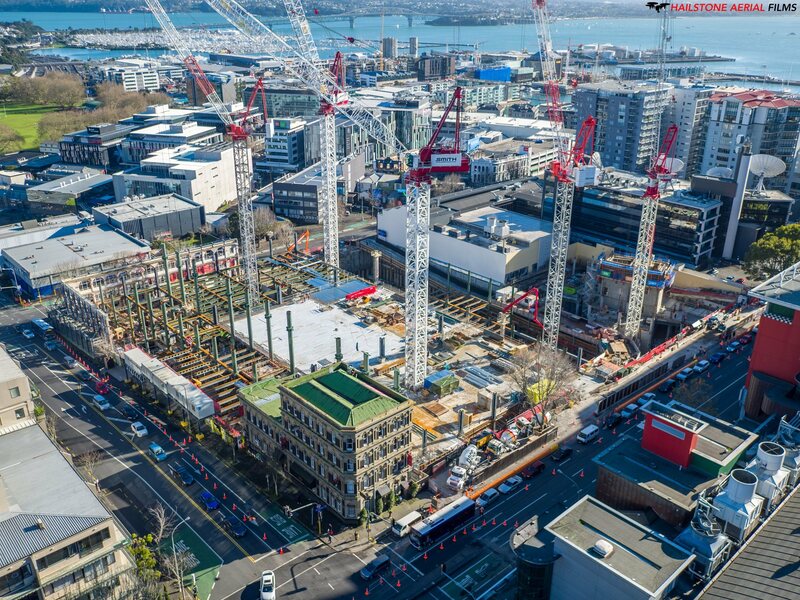 It’s now two years since work started on the New Zealand International Convention Centre in central Auckland and as the below before and today photos show, things are progressing quickly. It has been exciting to watch the building rise up this year after a long period of excavation, the progress has been rapid since the steel work started arriving on-site. Level 5 is beginning to take shape with the concrete floors being poured. This floor has prefunction spaces, meeting rooms along with a 2,850 seat theatre, divisible into two separate 1,200 theatres. World Organisation of Family Doctors (WONCA) Asia Pacific Region Conference (2020, 2000 delegates).